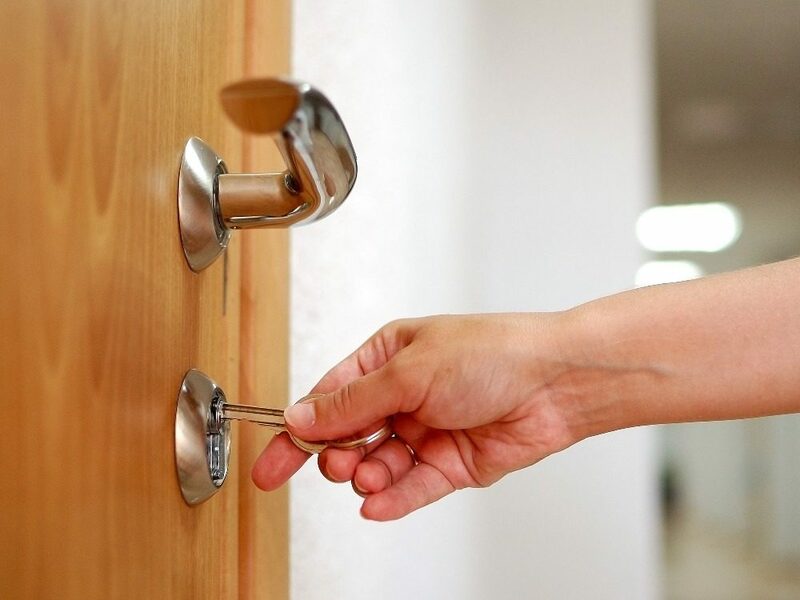 When it comes to locks and security in student accommodation, it can be both a landlord and a student’s biggest nightmare. Think about it from the landlord’s point of view in terms of call outs for broken locks or the need to replace locks, either due to lost keys or a change in tenants, doors potentially damaged and in need of replacing, windows needing new locks or replacement keys – the list can continue. For students, think about the pressure of remembering to take your key on a night out, as well as then remembering not to lose it! Then you do lose it and panic sets in as you could potentially face even more costs! For landlords – look to have a master key system – making life so much easier just having one key which can open several locks. It’s great in emergencies and saves you fumbling through a number of different keys! For students – if you are prone to losing your keys on a night out, look to invest in a key box! These can be bought relatively cheap and are completely secure, where the only way to gain access to the key is through a pin code which only you know (just make sure your key box is somewhere safe and secure!). Find the best locksmith around – it’s about finding someone whom you can trust, work with on a regular basis and know that no matter what the situation they can not only help, but in an emergency, they can be with you within 30minutes! Landlords, consider staying safety conscious and fitting with insurance regulations but also looking at realistic locks that don’t cost the earth – you don’t want to be replacing expensive locks on a regular basis, but you do want to make sure your property is secure. Students, please don’t use a drastic action if you have managed to misplace your keys, please call us at Durham City Locksmiths first and see how we can help. When it comes to student accommodation it’s about finding the right balance. Finding the right locking system that meets everyone’s needs, including the buildings! Of course, keyless locking systems do seem to be the most obvious solution but as they’re still a new concept and just starting to break into the UK market, finding a trusted locksmith now, someone who is reliable, on hand and most importantly someone who doesn’t charge the earth is essential. At Durham City Locksmiths we work with Landlords in Durham and across the Northeast to offer the best locking mechanisms and solutions. We’ve also helped a number of students gain access back into their property, quickly and effectively (trust us when we say we’ve all been there, but please call us before taking drastic action on the door!). All of our locksmiths are CRB checked, we’re unrivalled when it comes to the high level of service we offer, and we aim to repair or replace any lock, there and then. What’s more we also have a 24-hour emergency locksmith, on hand 24/7 and able to be with you within 30minutes of your call. So, call us today on 0191 438 6595 or find out more online at Tyne Tees Locks and get your student accommodation secured!